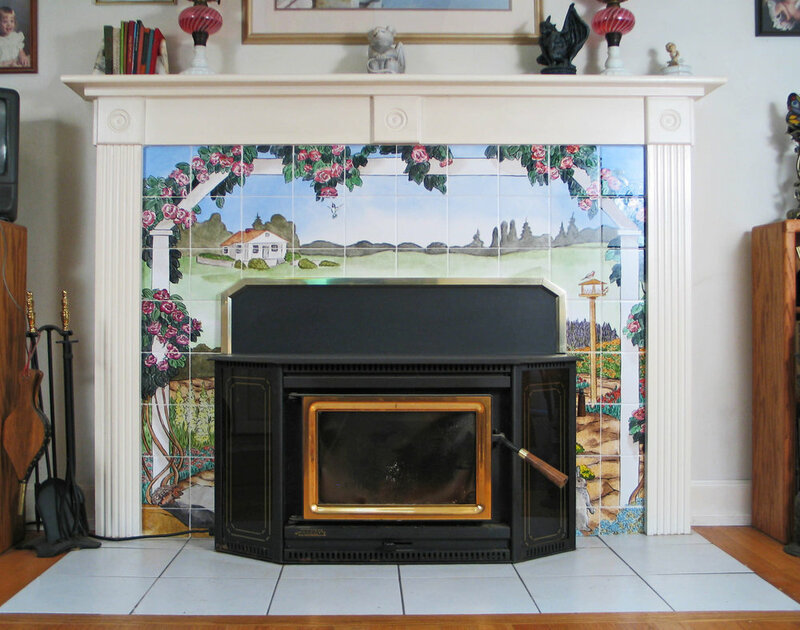 Paul Lewing hand-paints fireplace tile surrounds to make the heart of your home unique to you. 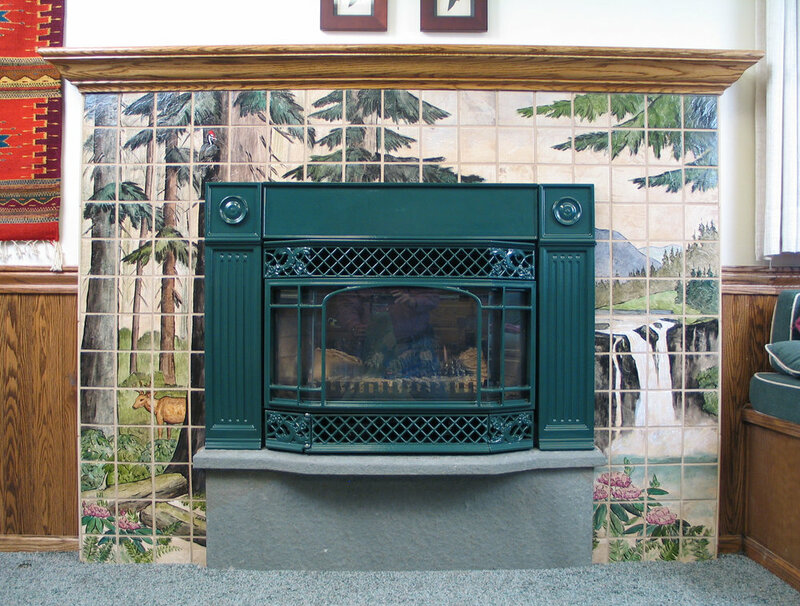 Mural fireplace tile can add chic design to any home. The hearth is where the home's heart beats. 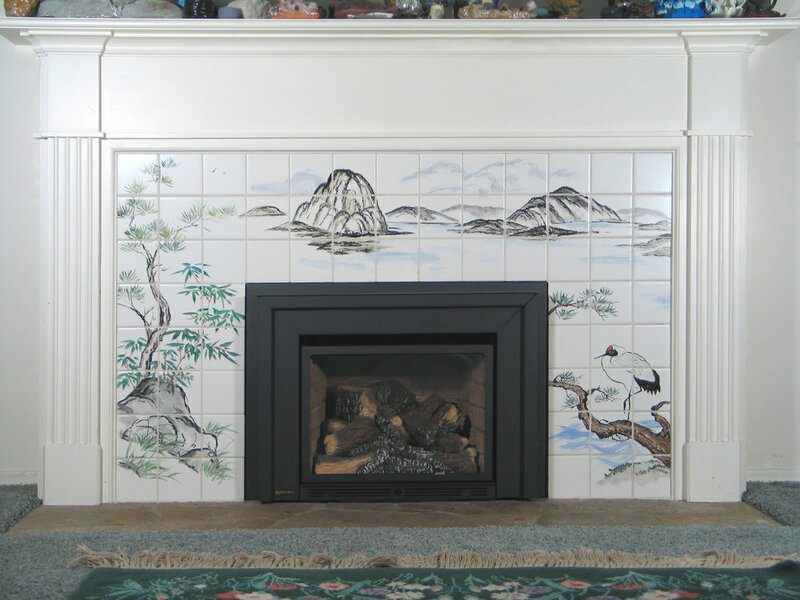 Turn your hearth into a stunning focal point and enjoy many nights gathered around the fire in conversation and relaxation while enjoying your custom hand-painted fireplace tile surround. 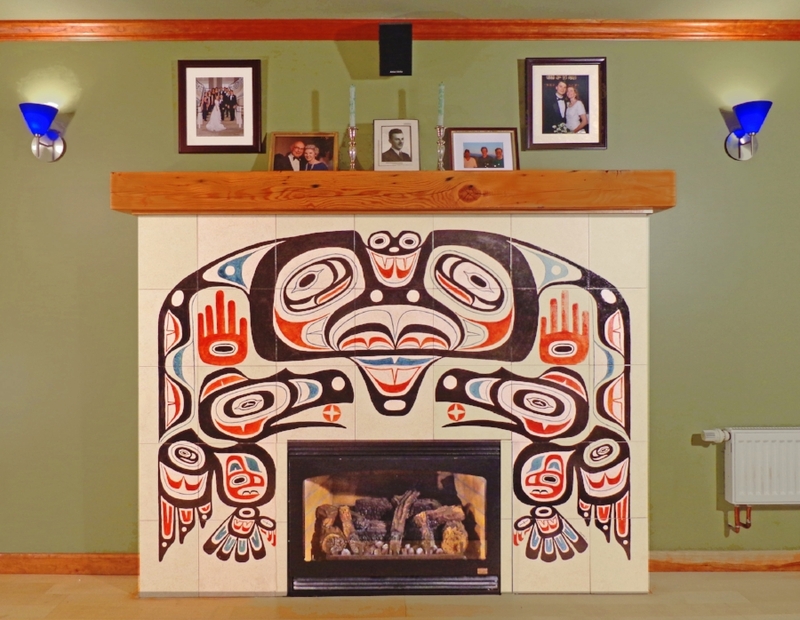 Paul can hand deliver in the greater Seattle area or ship tiles anywhere for contractor or home owner installation. See some of Paul's fireplaces below. Click on each image for more information. Contact Paul today with questions or to get started! Beach Hearth. This very subtle hearth design was created to cover up a stained and chipped concrete slab hearth. It simulates wave patterns on sand.